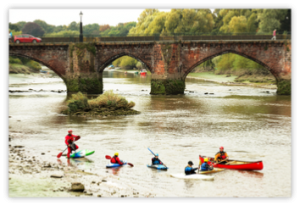 Chester Riverside Canoe Club (CRCC) provides safe tuition on the water for the young people of Chester, Cheshire and surrounding areas. We are a friendly and welcoming club, affiliated to the British Canoe Union (BCU) and we also hold the Clubmark award. We are open to under eighteens of all abilities, from total beginners, through novice paddlers, to freestyling young guns. 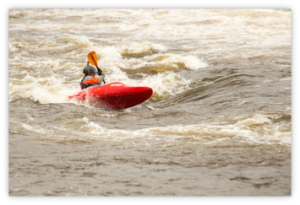 We offer skills training and assessment from beginner through to advanced levels, in both kayaks and open canoes. We also offer leisure paddling for canoes and kayaks, so you can learn to paddle safely for enjoyment. The club is able to offer training and assessment for the Duke of Edinburgh Awards Scheme. Canoeing and kayaking can be a physical activity, skill, or expedition. If you are over 18 and working towards an award the club will try to facilitate your requirements. CRCC are able to offer fun and awards sessions for Scouts, Guides, Cadets and other Youth Organisations. We meet on Sunday mornings at 09:30 for our main sessions and aim to be on the water by 10:00. Bring £5.00 for the session, a change of clothes and be prepared to get wet! Don’t worry though, the showers are nice and warm!